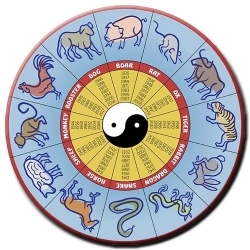 Chinese New Year begins on February 19, 2015. It’s one of the most important holidays in the Chinese calendar. It lasts for 15 days and is cause for much celebration, and a feeling of renewal. Sharing the concept of Chinese New Year with day care children would open the door for some fun activities! Many families will clean the house during the celebration, in order to sweep away bad fortune and welcome good luck into the home. Making cleaning a part of a celebration is a great way to get kids to help clean, and who wouldn’t want good luck? Children might be fascinated by the story of the Nian, a mythical beast that would come to Chinese villages on or around Chinese New Year to attack people. In order to prevent the attack the next year, villagers learned to bang on drums and set off firecrackers, in order to frighten the Nian away with the loud noises. They also used the color red in lanterns, scrolls, and clothing. The story goes that a small child wore red and the Nian was frightened of the color, so it left the child alone. The Nian hasn’t attacked anyone since people learned these tricks, so they are now used at Chinese New Year celebrations. It would be fun for the kids to make some noise, and perhaps make some scrolls from red paper. On Chinese New Year’s Eve, many Chinese families will eat a “reunion dinner”, usually having a chicken or pork dish. A fish dish is usually included, but it’s important that not all the fish is eaten. Some must be refrigerated overnight, from the previous year and into the new year, to ensure that each year has a surplus. 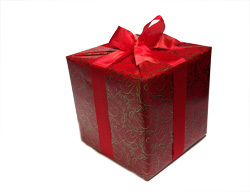 People may give each other gifts of sweets, such as oranges, chocolates, or candies. These would be inexpensive and easily be prepared as a daycare activity for the kids. 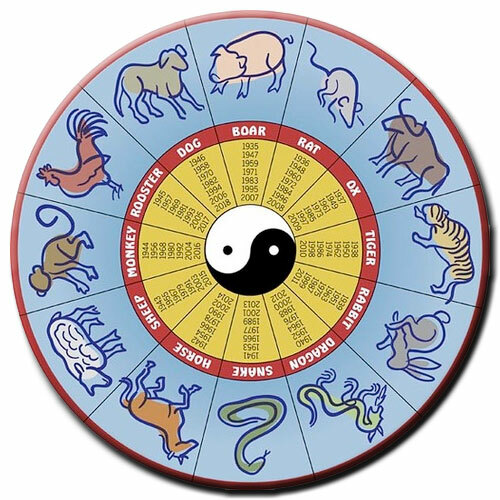 You can find more fascinating information about Chinese New Year traditions on the internet. Learning about other cultures is so important for our children, and so much fun for them. This is a great learning opportunity! Daycare Costs – Is Working Worth It? Is Your Daycare Open Labor Day? 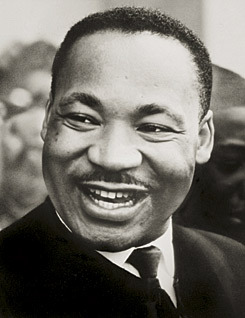 Martin Luther King Jr. Day is observed on the third Monday each January. King’s birthday is January 15, so the observance falls around the time of his birthday. Many schools observe this holiday and are closed for the day, but many workplaces are not, so there will be lots of kids in daycare that are normally in school. These school age kids will likely learn about Martin Luther King Jr. in school, and there may be some activities in daycare. Martin Luther King Jr. is probably the most recognizable figure in the American Civil Rights movement. He brought attention to race issues in the 1960’s. He rallied citizens to end racial segregation by use of non-violent protest. He also worked to end poverty and bring about an end to the Vietnam War, before he was assassinated in 1968. The Occupy Wall Street movement of 2011, protesting social and economic inequality, also used nonviolent protest, championed by Dr. King and Mahatma Gandhi. These methods have been successful in bringing attention to various causes. The First Amendment to the constitution protects the rights of Americans, including the right to freedom of speech and the freedom to peaceably assemble, meaning that by following a few simple rules, protesters are free to gather and speak their minds. It’s important for kids to learn not only about history, but how what has happened in the past affects current events and their futures. Children born in the 1990’s and 2000’s have never grown up with segregation and oftentimes, cannot fathom why anybody would treat somebody differently due to the color of their skin. This is Dr. King’s dream come true, and it was through the work of peaceful activists. The children in daycare on Martin Luther King Jr. Day, learning about the man and his legacy, are also learning that ordinary people have the power to change the world for the good of all mankind. They have an opportunity to make their voices and ideas heard. As parents, we have the opportunity to hear what our children have learned and discuss it with them. Martin Luther King, Jr. Day is an excellent opportunity to discuss history and current events with our children. Dr. King is a wonderful example of how one person really can make a difference in the world. What an encouraging message for all of us! St. Patrick’s day is just around the corner, so make sure you and your child are ready for a fun day at daycare! The holiday itself can mean different things to different people but it is is a widely celebrated holiday which you will not want to miss out on in daycare. It’s never fun for your child to feel left out. 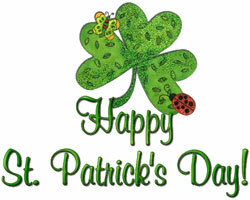 St. Patrick’s Day is the celebration of the Irish patron saint, St. Patrick. It is a popular holiday, traditionally celebrated with lots of feasting and parades. As a parent, it’s a good idea to make sure your child has at least a basic understanding of this fun holiday. Originally, the color associated with St. Patrick’s day was blue. However, over the years it has turned to green. Let your child pick out their favorite green clothes for this fun holiday. You may even consider making a special day of fixing up your daughters hair with some green ribbons. Find a fun green hat for your son to wear on St. Patrick’s day (check your daycare or school rules regarding hats) to help them get into the spirit of St. Patrick’s day. Make sure they know it is not OK to pinch anyone that is not wearing green for the day. Once this practice was commonplace but it is frowned upon by many daycares and can even get your child into trouble. Tell them that pinching is not a nice to do and can hurt, and even if other kids do it, they should not. Clover leaves have also been associated with the day because St. Patrick was said to use the three leaf clover as a symbol when he explained the Holy Trinity to non-Christians. When you’re getting dinner ready, get a clear, empty glass for your child. Put a drop of green food coloring in the bottom of the glass. Try to swirl it around a bit so it doesn’t look too obvious. Then at dinner put your child’s glass on the table, check to make sure they are watching, then pour some water or light-colored juice (like apple or white grape) in the glass. The liquid will turn green as you pour it in! Another fun thing to do is to DVR the St. Patrick’s Day parades that happen around the country. Your child will love to watch the parade. If there is a St. Patrick’s Day parade that is happening around where you live, you can make an effort to take your children. They will love to see the giant floats, the marching bands and everyone dressed up for St. Patrick’s Day. They will especially enjoy seeing adults dress up and have fun. This is a good lesson for them that even when you are “grown up” it is still OK to have fun and to play. Have a fun and safe St. Patrick’s Day! Is Daycare Right For You? There is something that has bugged me for some time as a parent: how to discipline a child for being a “tattletale”. It seemed kind of strange that a parent, teacher, or daycare provider would discipline the child that “tattled” to them regarding another child’s bad behavior instead of the child who is actually behaving badly. I dismissed this as “just what we do” for so long but that nagging feeling about this idea persists. As a parent, I have avoided it because it made me feel uncomfortable but I never realized why until now. First of all, children need to know what is right and wrong and it isn’t up to them to decide. Parents and daycare providers are supposed to do this. It is in fact one of the main jobs of being a parent or provider. Whether it is something huge like playing with matches or something small like not playing nice, it is the provider’s job to make the judgment, not the child’s. When the child who “tattled” is disciplined instead of the one actually being bad, it sends the message that we don’t care enough to step in and help when they can’t help themselves, or when they don’t quite know what to do. We should not expect children to make decisions in arguments when they are so young. By the time children are old enough to know the difference between right and wrong regarding a certain situation, they shouldn’t be doing it in the first place. So the parents and providers should get involved to take care of the issue. Whether the situation is something new or old, huge or mundane, it is our responsibility as parents and providers to help them work through these situations. As simple as this point might seem, it is still valid. Calling a child a tattletale is name calling. Name calling at any time, for any reason, is wrong. It’s as simple as that. This is one of the most important points of this whole thing. A child should always, 100 percent of the time, feel safe about coming to a parent or daycare provider about anything. And I do mean anything. Parents and daycare providers can’t know or anticipate all of the situations a child might encounter and you do not want children to ever hesitate to talk to you. What if something bad happened to a child and they did not talk to anyone about it because they thought someone might call them a “tattletale”? When children are disciplined and called “tattletales”, it opens the door for all kinds of other terrible things to happen. If a bully or an adult knows that a child will get in trouble for tattling, they can easily use that leverage to pick on and otherwise torment a child. They know the children who live under “no tattling” rules will hesitate to speak out when something is wrong. This is a terrible and easily abused situation which could be avoided if we would all agree that it is a good thing to speak out when something is wrong. I hope that this list of reason is enough to illustrate why the whole idea of calling a child, or anyone else for that matter, a “tattletale”, is wrong. This can have far-reaching consequences even throughout adulthood. We are the parents and daycare providers for children and we must make sure that the children are always able to speak to us no matter what. As parents and daycare providers both, we need to take the pledge to end the destructive habit of calling children “tattletales” and take the time resolve whatever situation might be at hand. We owe it our children and their futures. What is it about kids and water? They are deliriously happy playing in the neighborhood pool or a wading pool in the backyard. It seems like such a basic part of childhood, that it’s hard to imagine that an average of 390 children under the age of 15 die annually from drowning, and 75% of those are children under the age of 5 (http://www.poolsafely.gov/drowning-deaths-injuries/). If your daycare provider takes your child to a pool, has a pool in the backyard, or sets up a wading pool during the summer, you might want to determine the precautions they take in order to keep the children safe. It’s a definite plus for any day care provider to be certified in CPR and have taken classes in First Aid. When a pool is involved, knowing CPR may mean the difference between life and death. The pool should also be fenced off or, if it’s a wading pool, emptied of water when playtime is over. It’s difficult to keep an eye on children at all times, but at the pool, it’s imperative. The daycare provider needs to pay attention to each of the children. Not only do they need to be watching the children, they need to know what to look for. On TV, drowning is always a noisy, splashy affair. In real life, it is more likely to be quiet and fast. As a parent, we know the kids are up to no good when it becomes quiet, right? When children play in the water, they are noisy. If they start splashing and calling for help, they need help. If they become eerily quiet, they may need help as well. You need to find out why they are so quiet (http://mariovittone.com/2010/05/154/). Even if they are not in danger, a quiet child in the pool may be exhausted or have another issue, and it may be time for them to take a break from the water. As a parent, you can help prevent problems by taking your children for swimming lessons. Most recreation centers or city pools offer swimming lessons, usually for a reasonable price. There, the children will learn water safety and basics that will help them as they play in the water. However, don’t think that swimming lessons mean your child will not drown. 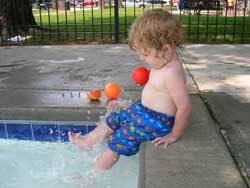 Children need to be closely supervised when they are playing in or near water, no matter what. Children love to play in the water. But it’s important for daycare providers and parents to take steps to prevent injury or death in a swimming pool: keep kids from getting into unattended pools, keep a close eye on kids when they are in the pool, know what drowning looks like, and teach kids water safety and give them swimming lessons. Is Your Daycare’s Car Designed for Car Seats? A new article by the Insurance Institute for Highway Safety was recently published going into detail about the safety of 2011 vehicles in regards to the LATCH system for child car seat restraints. The results were surprising, and a little disappointing. Even though the standards for child restraint safety have been in place for some time it is amazing the amount of modern day vehicles that do not seem to have child safety and car seat installation in mind. As parents we try our best to keep our children’s safety at the forefront. However, the difficulty of many car seats to install along with many car models which are not set up correctly for the LATCH system. This has turned out to make it surprising difficult to make sure child car seat installation is correct. This has made for a potentially dangerous and even life threatening situation for our children. Only 21 of the 98 top-selling 2010-11 model passenger vehicles evaluated have LATCH designs that are easy to use. I know it might seem strange to question your daycare provider regarding your child’s safety. However it is absolutely essential that you do. It’s not a matter of doubt in your daycare provider ability, it’s about assuring your child is safe in any vehicle. If a daycare or childcare provider baulks at your insistence as a parent to inspect their car seat, make sure they know you trust them but you want to be absolutely sure that your child’s car seat is installed right. There is nothing wrong with being an over protective parent. It can save lives! Unfortunately it is hard to say exactly how to install a car seat because there are so many different designs. Along with all of the different designs each model of car is a little bit different. This is the crux of the problem. 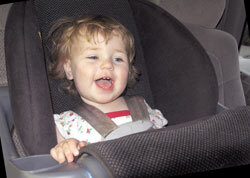 However, there are a few things that you should keep in mind when installing a childs car seat. Make sure the car seat is built and designed for the correct age, weight and height of your child. Car seats should always be in the back seat of a vehicle. They should also be in the middle of the seat if there is a proper LATCH system. This maximizes their safety from both frontal and side impacts. Tether’s should always be used for forward facing car seats. Always follow the manufacturer’s instructions when installing the car seat. If you are unclear on how to install your child’s car seat in your car find a certified car seat inspection center near you. For a complete run down check out the National Highway Traffic Safety Administrations website. The bottom line is that our children may not be as safe as we are led to believe. As a responsible parent it is your duty to make sure not only your vehicles have their car seats installed properly, but also that your daycare provider has their car seats installed properly for your child. Here are some of the most popular vehicles they tested and reported on. Are you wondering what to do with the piles of new stuff you have for your kids? Are they outgrowing the toys you have been accumulating over the year? Is that tax time just around the corner? Here at Decide on Daycare we can help you with all of those! It’s that time of year again, when we find ourselves buried under piles of new toys while we look at the piles of old toys to and try to figure out what to do with it all. First things first, talk to your children and get them involved in the process of cleaning out and cleaning up the old toys. It’s important to teach them that it does not matter how many toys you have, but what toys you have. You can follow your own beliefs but it is a good idea to help your children determine the difference between educational toys and regular toys. Educational toys are ones that help teach A-B-C’s, counting, matching, shapes and colors, etc. When kids have these types of toys, they are playing and learning at the same time. It sets the foundation for their little brains to learn properly for the rest of their lives. It’s important as a parent to show excitement for these toys. Your children are going to feed off your excitement. Even if you are not actually excited about the educational toys you should still encourage them to play with these over the non-educational toys. Non-educational toys will be more of the “standard” toys that kids often get. Things such as stuffed animals, cars, balls and other toys that are not directly related to things your children will need to learn and know to start school. These toys can be good, none the less, as they can help build imagination, sharing, and several other good behaviors. However, they can still often learn these same things through educational toys. As a parent I try to keep the ratio between educational toys and non-educational toys at least 50/50. You can strive to make most of their toys educational. That way, the likelihood of them having higher quality play time is better. As far as books go I try to encourage the same ratio as the toys, but I am much more hesitant to get rid of any books. The reason for this is even the youngest and most “babyish” books are great tools to help your children to read. Children will first learn to memorize the book. However, over time, they can learn to read the book as they grow older. You can really help them along with this by teaching them to skim the words as they read. By showing them you are helping them to learn to recognize the words. It may seem strange but your children can actually learn to recognize words prior to learning how to read or write. Now that you have an idea of what’s what, start to go through your toys and books with your children. If you empower them to help and make decisions regarding what to keep or what to get rid of, it will make them feel like they are in control and will make this a much smoother process. Make sure you talk through their decisions with them. If they want to get rid of something they play with every day, explain that that would not be good because they like the toy so much. On the flip side, encourage them to get rid of things that have sat in the bottom of the toy box without being touched for years. Take this opportunity to throw away all toys that are broken or missing important pieces. Since they are getting new toys, there is no reason to hang onto the old stuff. If they are unsure or you think they may actually want a certain toy later, you do have an option for a middle ground. You can tell them you can put their toy in “storage”. Put these toys in a bag or box and then put them in a place like a closet or spare room—someplace accessible to you but out of the way, and out of their sight. You might want to label this bag or box so you know it contains your child’s things, and put the date on the label as well. That way you know how long it has been since they played with the toys inside. If they ask for a toy, you can get it out of storage, but if it’s been six months, chances are you can donate them. If they realize that they want something from storage, you can get it back for them. If you do, don’t take them with you. They will want all the toys in the bag! Just get the one item they asked for and take it to them. Use your best judgment since the ultimate goal is to clear out the old to make room for the new. If there are any special toys, something that was one a parent’s, or something that would make a good memento, put it aside special for them. It can be a nice surprise when they head off to college to get the stuffed bunny they carried around for their first three years of their life, or when they are expecting their first child to receive some special toys they had as a kid. Lastly, make sure that you keep a list of everything that is going into the donation bags. This will come in handy later. Throw out the broken toys but anything that is usable can be passed to another owner. 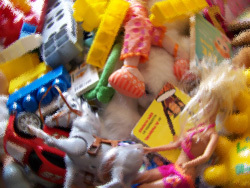 There are many avenues to get rid of the unwanted but usable old toys your children have outgrown or no longer want. Use the list you created and send a copy to any of your friends that may have kids that are the right age for the toys that you have. Give a copy to your daycare provider and see if they want any of it. It can be fun for your child to find an old toy show up at daycare. Once you have talked to anyone you know that would want them, as well as your daycare provider, take what is left to your favorite charity. Make a list of the toys you donate to charity. It is quite likely that these donations are tax deductible. It can be difficult for kids to understand the importance of why we give to others. It’s hard for them to grasp the idea of selfless giving. But if you help to reinforce this idea before the holidays and then back that up this time of year, you can help them to really absorb this lesson. Explain to them that by donating their toys to their neighbor, family, daycare or charity is a great way to practice selfless giving. Show them how much you enjoy helping others and they will learn to enjoy giving as well. How is the Nanny Doing? One of the most frustrating things to both parents and their children is not being able to communicate properly. It takes children years to learn how to talk. As a parent you don’t have to wait years to learn to communicate with your child. How do you talk to those that can’t? Through sign language of course! Sign language is something that your baby, even an infant can learn to use. It is comprised of basic motions and movements which are much easier for your baby to learn then a speaking language. Using sign language to communicate with your baby is a great way to ease much of the frustrations that come with early parenting and your child’s early years. 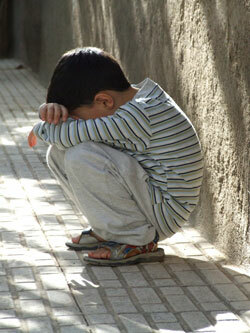 Parents are able to ask infants basic questions aabout what they need and why they are sad. Infants are able to tell you want they want and when they need it. Sign language is something that can and should be transferred over to your daycare provider. In fact many daycare providers already know and use sign language. If the teaching and use of sign language is used at home and at daycare you will see dramatic a dramatic increase of your baby using it. Baby Signing Time has some great holiday deals going right now and there isn’t a better time to get started. This would make an amazing gift for any parent, grandparent and daycare provider. I have used sign language with my children and it has helped dramatically in trying to calm upset infants. It works great to know if they are hungry, thirsty, or tired. It really is amazing how well it works. I know it has surprised many parents, it did me, that their tiny little infant has much more to say about the world around them then you ever knew. Sign language helps them to say these things. When parents use this at home and their daycare providers use sign language it can really help make the first few years before they learn to speak much better. It gives them a head start on learning, and gives parents, daycare providers and anyone else taking care of your children more tools to insure they are taken care of well. Would a Nanny Be Best for My Family? It’s that time of year again. Time to start thinking about what to do with the holidays and what we want to do for those special people around us. As soon as your children are old enough to talk you can start to involve them in this wonderful season of giving. It is very important as a parent to start to teach your children the value of giving and doing special things for those people that we care for. With the hectic schedule of the holidays its easy to overlook some of those that are most important to our child’s lives, their daycare providers. Make sure they are on shopping list. Daycare providers and nanny’s are such a vital part of your child’s life. They need to be reminded just how important and special they are. Involve your children in this if possible as they will just love to pick out things for their daycare provider. They will hold a special investment in the decisions and pride in giving it to them. This will help them to learn the valuable lessons around the joy of giving and showing appreciation. Now is the time to score some great deals on things for the holidays. With the economy being what it is many retailers are offering deep cuts with their Black Friday and holiday deals.Take advantage of them while you can! This Brainy Baby deal is a great one, this could be the perfect gift for those that are expecting or have young kids. This set can get them started off right on the path to getting ready for school. 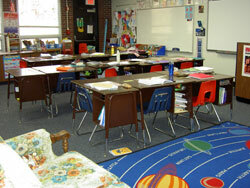 Here is a great source for daycare supplies. They have great deals year round and they are offering deeper discounts through the holiday season. DiscountSchoolSupply.com-15% OFF Everything In The Gift Guide! Use Code: SALEGIFT! Click Here! Kmart is has been slowly closing up stores but their online presence has been strong. You can find great deals with them through the holiday shopping season. The great thing about Kmart is that you can get a wide variety of things in one place at great prices. Finding Quality Daycare is Possible!